The federal government is facing a Friday deadline for funding about a quarter of its operations, struggling to avert another shutdown after a record 35-day closure was ended last month. Construction money for a barrier at the U.S. southern border with Mexico remains at the center of the dispute, with President Donald Trump asking for $5.7 billion in funding and opposition Democrats apparently ready to offer some money, but much less than the president wants. Several lawmakers said late last week they were close to reaching a deal, even as it remained unclear what Trump would agree to. 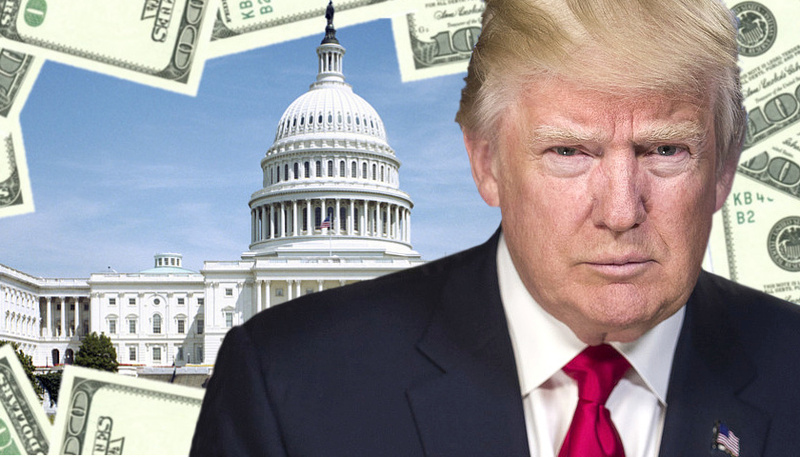 He said if Trump does not win approval for as much money as he wants he is likely to say, “I’ll go find the money someplace else,'” by tapping other government funds, a move sure to draw a legal challenge from Democrats. Trump is set to travel to the border at El Paso, Texas, for a rally Monday night to focus on his demands for a wall to curb illegal migrants from entering the U.S. When the five-week closure ended Jan. 25, a bipartisan group of 17 Republican and Democratic lawmakers was created to hammer out details of what border security operations would be funded and how much money would go toward Trump’s demand for a wall, perhaps his most popular pledge from his successful 2016 campaign for the White House. Democrats initially offered no funding for a wall, but now lawmakers familiar with the negotiations say Trump’s opponents appear ready to agree to some border barrier funding, perhaps as much as $2 billion, along with provisions for heightened controls at ports of entry to thwart drug smuggling and increased use of drones and other technology to try to halt illegal entry into the country. Lawmakers have often said since the shutdown ended that a second closure would be prevented, but Trump has refused to rule it out if he does not like the border security agreement they present him. He has not publicly stated what level of funding he would accept as a compromise to build a barrier along a relatively small portion of the 3,200-kilometer U.S.-Mexican border. Trump has signaled that he could declare a national emergency to build a wall without congressional approval, by tapping funds approved for other projects. But key Republican lawmakers have warned the president not to, fearing the next time a Democrat is in the White House, he could declare an emergency to combat some problem at odds with the views of many Republicans, such as banning the use of some types of guns. Democrats are also certain to file suit against any emergency that Trump declares, which could lead to months of court fights over the wall.